Attention: Limited parking time until 10 p.m.! Parking Tickets available in our office! Otto Bauergasse is now one-way road from Mariahilferstr. to Gumpendorferstr. 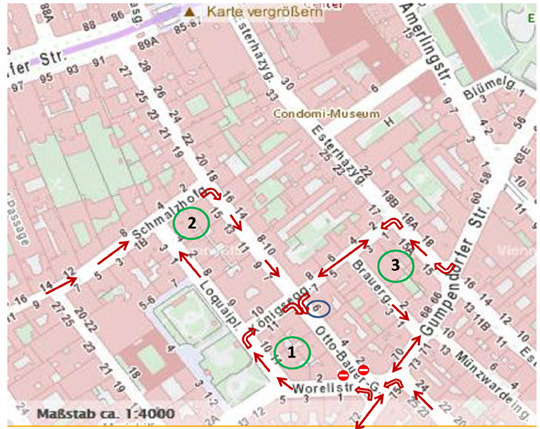 Entrance from Gumpendorferstr to Otto Bauergasse is now impossible!